The Fiachra 7kW insert dry stoves are feisty. They fit into your standard open fireplace and have a massive output of 7k.w. These insert stoves are truly amazing. With their natural convection you can be sure your hard earned cash is not going up the chimney. As with all Boru stoves they are 100% Irish made. 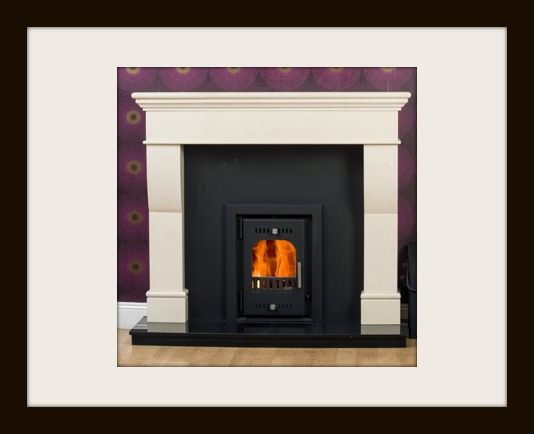 The dimensions of this Fiachra Insert Dry Stove are 369 x 400 x 557 mm, with a 5" flue. The stove’s Glass is 248 x 295 mm in size. There is no Central Air Intake available on this particular model of the Boru Stove and there is no Boiler model available for this model. The stove has an energy efficiency of 81.5% and provides 7kW heat to the room. There is no Double Sided Option Available on this particular insert stove.